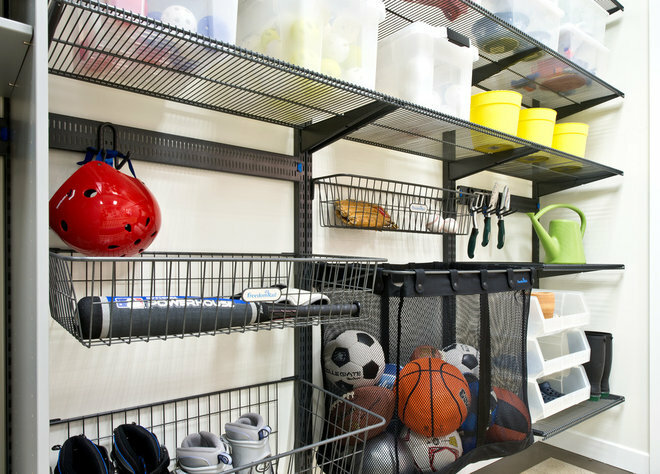 Garages often turn into repositories for everything from sports equipment to holiday decorations. 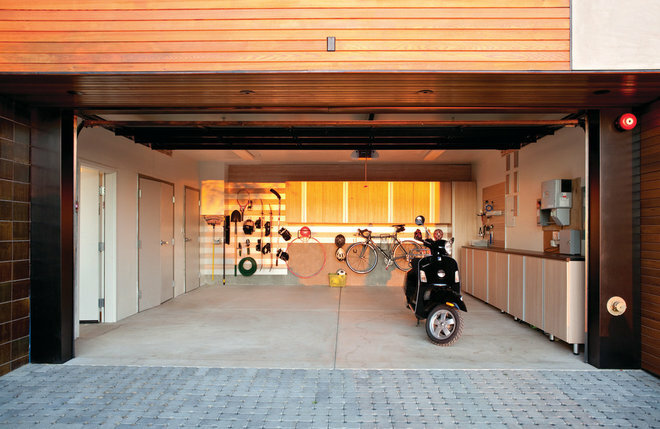 But with planning you can turn your garage into a harmonious space with room to actually — wait for it — park the car. 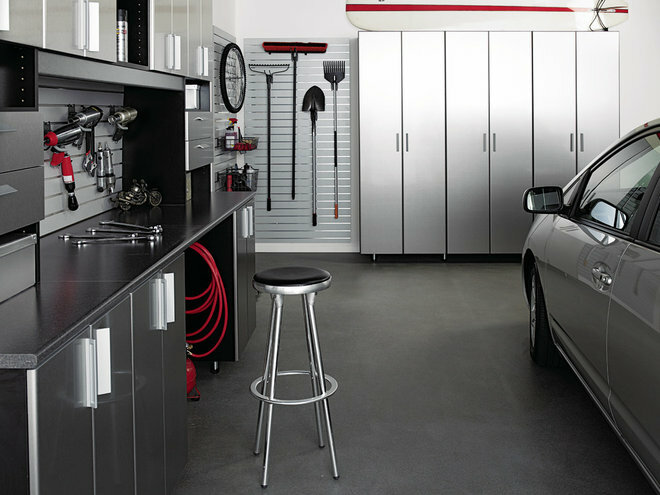 Project: Get professionally designed garage storage. Who: Anyone who has a garage can make it a storage center as well as a parking spot. How: Ginny Scott, chief design officer at California Closets, says to start by determining what you need to store. “You need to think of your goal first. Do you want to store overflow from the pantry? Do you want to make a Costco closet? 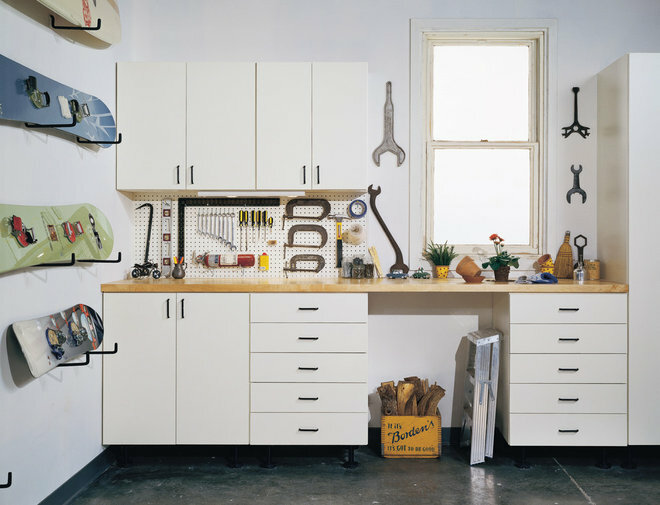 Do you need a workspace like a potting or tool bench? 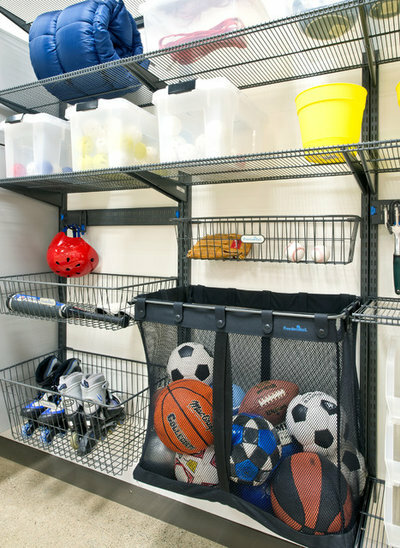 Maybe you need a place to stash sports equipment. Once you have determined what you want to do, that will inform the kinds of shelving, cabinets or lockers you need,” she says. She says that although a garage lined with storage lockers and cabinets has a clean look — an important factor for garages that open at the front of the house and are visible to the neighbors — if you are of the “out of sight, out of mind” school, closed storage is not for you. “If you are that type of person, then go for open shelves and labeled bins,” she says. Scott adds that it’s also important to choose storage units that are made from durable materials; items stored in the garage are often heavy, so you want shelves that won’t buckle or bend. She also says in the tighter confines of the garage, you are more likely to bump, brush or spill things on your storage system, so an easy-clean material such as a high-grade laminate is often best. Cost: It depends on material selection. 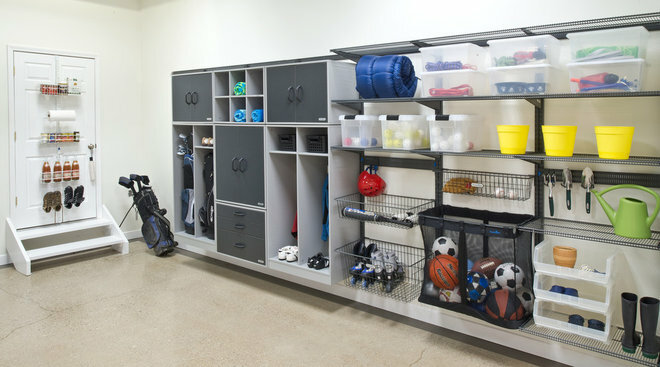 “The good news is that garage storage is often less expensive than regular closets, because we usually use simple materials and hardware, and we usually don’t use glass inserts,” says Scott. She says an 8-foot run of open shelving in a garage could cost $1,000 to $2,000 (rough estimate). 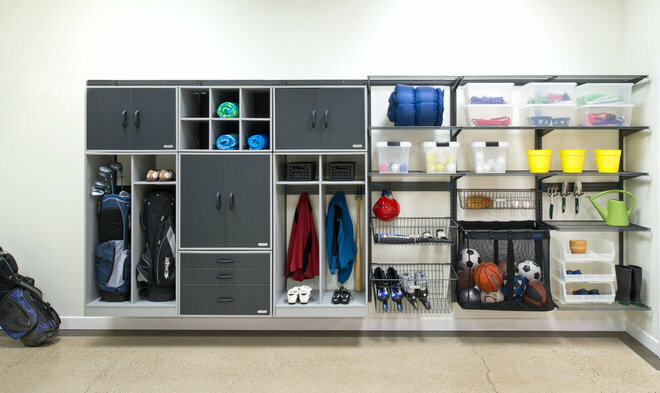 A row of storage lockers of the same length might cost $2,000 to $3,000. Project length: From consultation to installation, this kind of project could take three to five weeks, Scott says. Permit: “Unless we are doing something structural or adding electricity, no permit is generally needed,” says Scott.